Hello and welcome back to the WCU PodCats PodCast! This week Josh and Patrick preview the upcoming travel schedule for Spring 2016. 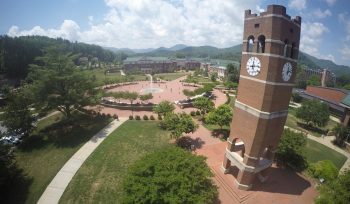 We are excited to be traveling up and down the east coast from New York, New York to Miami, Florida meeting and talking to all of our future Catamounts! Thanks for tuning in and remember to like us on Facebook and follow us on Twitter and as always, Go Cats! PodCats Episode 25- Top 5 Ways to Spend a WCU Snow Day!